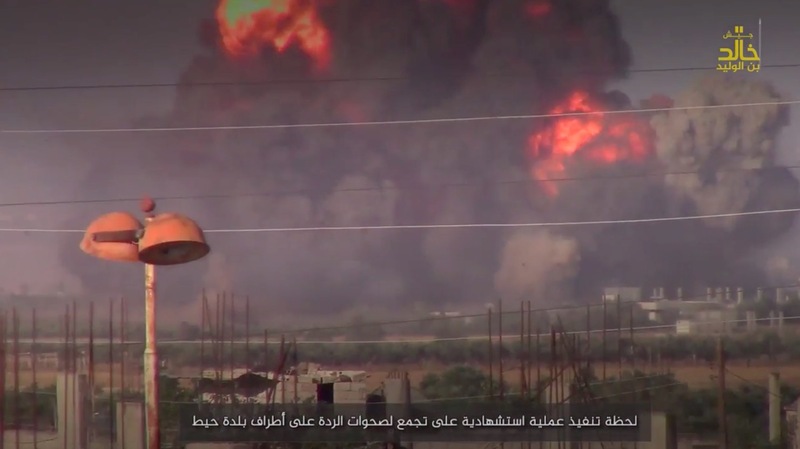 Jaish Khalid Bin al-Walid (The Khalid Bin al-Walid Army) was an IS-affiliated group that operated in the Yarmouk Basin in Syria’s southwestern-most Daraa province since its formation in May, 2016 until they were militarily crushed in a Syrian loyalist offensive in late July, 2018. However, before they became known as Jaish Khalid Bin al-Walid, the group was known as Liwa Shuhada al-Yarmouk (LSY), or ‘Yarmouk Martyr’s Brigade’. Since their formation in 2012, they regularly participated in joint military offensives against Syrian loyalist forces alongside other rebel outfits such as Jabhat al-Nusra (JaN) and various FSA factions, and were even part of the Southern Front joint operations room. However, in the latter part of 2015 LSY began clashing with JaN, who accused the former of being an IS cell. Interestingly, JaN employed an SVBIED based on a BVP-1 AMB-S armoured personnel carrier against an LSY position during the late November 2015 clashes. After that round of infighting, LSY adopted a more overt pro-IS stance, before the eventual merger with Harakat al-Muthanna al-Islamiya and Jaysh al-Jihad into Jaish Khalid Bin al-Walid (hereafter JKBW) in late May, 2016. After the formation of JKBW, the group would rule a comparatively small piece of territory in the Yarmouk Basin, while waging an armed struggle against their neighbouring Syrian rebel groups. Map showing territorial control of Syria’s southwestern Daraa province in June, 2016. Although not an official IS ‘wilayah’ (province) at the time, claims of their (supposedly) successful attacks and other military activities would be posted through IS own Amaq News Agency. JKBW’s official video releases were also qualitatively and stylistically on the same level as videos produced by the media departments of official IS wilayah. 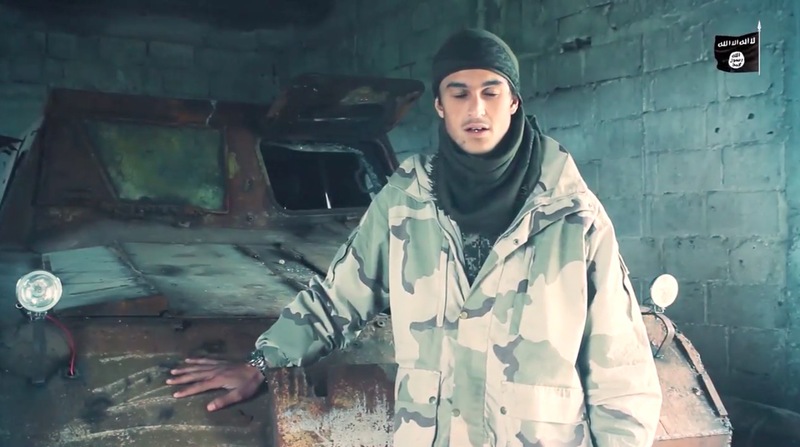 It wasn’t until July, 2018 – the same month as they were territorially crushed – that IS finally adopted JKBW and released their final video under the name “Hawran Wilayah”. Due to their small size, JKBW never really had the resources to manufacture SVBIEDs on the same level as was done in the main IS territories in Syria and Iraq. Their output and use of SVBIEDs was historically extremely reserved, with very few of their initial official videos featuring their use. In a video released in September, 2016, their first and only recorded use of a parked VBIED was included. In the video, a JKBW fighter parks a VBIED next to a Syrian rebel checkpoint in Southwest Daraa and runs off before the detonation, which is followed up by a ground assault consisting of multiple technicals. On February 20, 2017, JKBW initiated an offensive against rebel-controlled territory to the north-east of their pocket – capturing several towns, but rebel forces counterattacked and managed to seize back some locations that had been lost to the former. 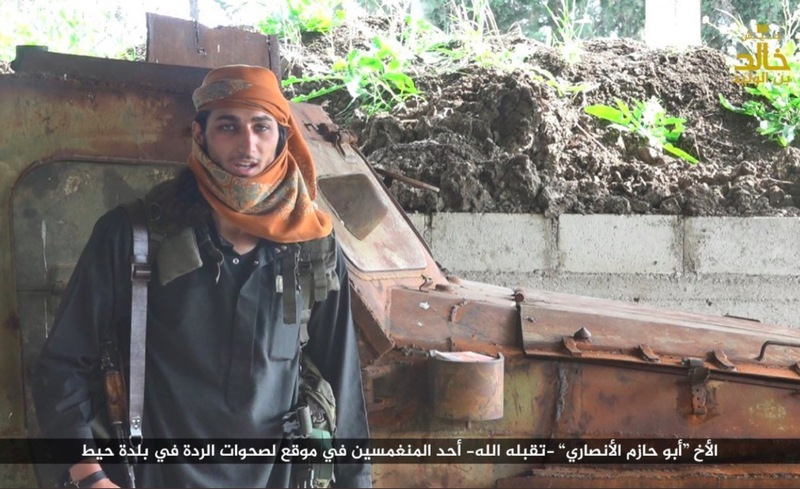 Furthermore, JKBW lost one of their up-armored pick-up truck SVBIEDs. It was run off the road as it was being transported. It’s quite normal for groups to transport SVBIEDs (especially heavier versions) on Heavy Equipment Transports or on smaller variants, from their storage sites out to the general area in which they’re intended to be used. However, this is the only recorded instance where such a transport has been intercepted and captured by opposing forces. After the February, 2017 mishap, it would take a whole year until a February, 2018 video release when a SVBIED was featured once again. However, as the SVBIED itself wasn’t shown and only the detonation, it’s unclear whether it was an up-armored or covert SVBIED. The attack was aimed at the rebel-controlled city of Hayt, situated just east of the pocket controlled by JKBW. On April 19th, 2018, JKBW upped their game. 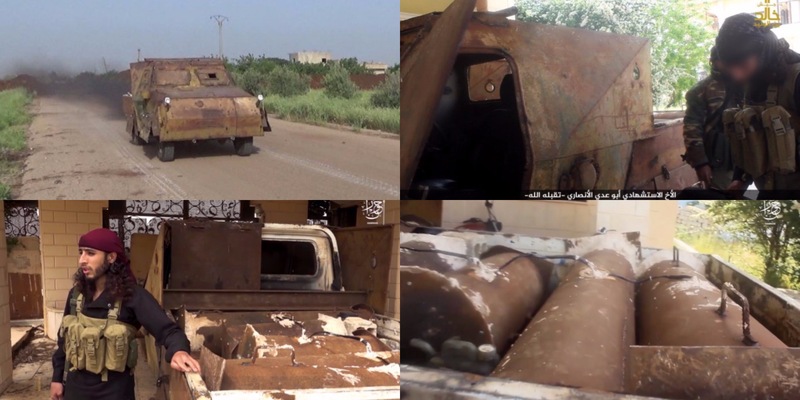 They conducted an SVBIED attack against rebel-controlled Sheikh Saad, using what initially looked like a normal up-armored pick-up truck SVBIED. However, this SVBIED was more than just that. 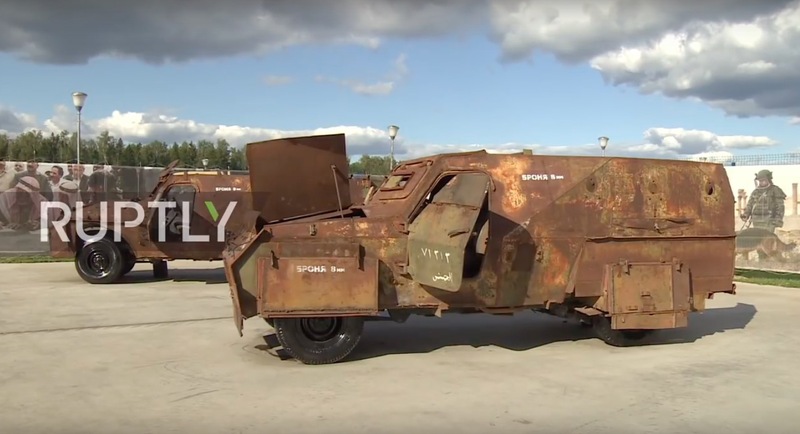 As was pointed out by Twitter user @Objekt432Y, JKBW had actually transplanted the hull of a Soviet-made BTR-152 armoured car and mounted it to a Toyota Landcruiser chassis. 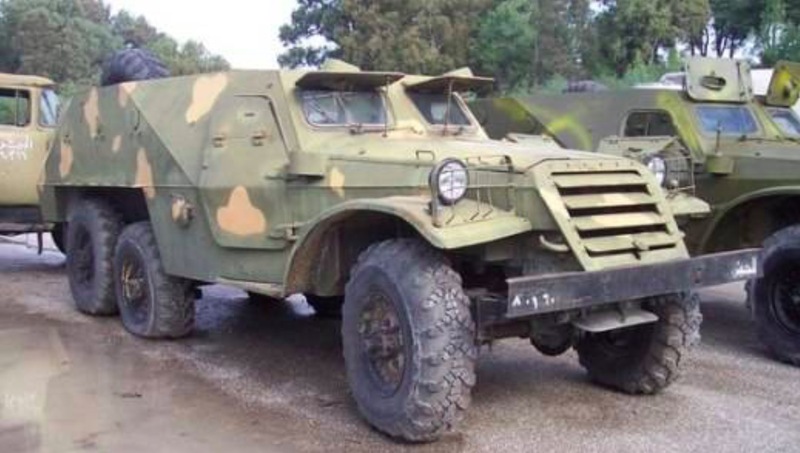 BTR-152, a Soviet-made armoured car used by the SAA. This indicated a relatively high level of ingenuity not seen at the time among other non-state actors using SVBIEDs. 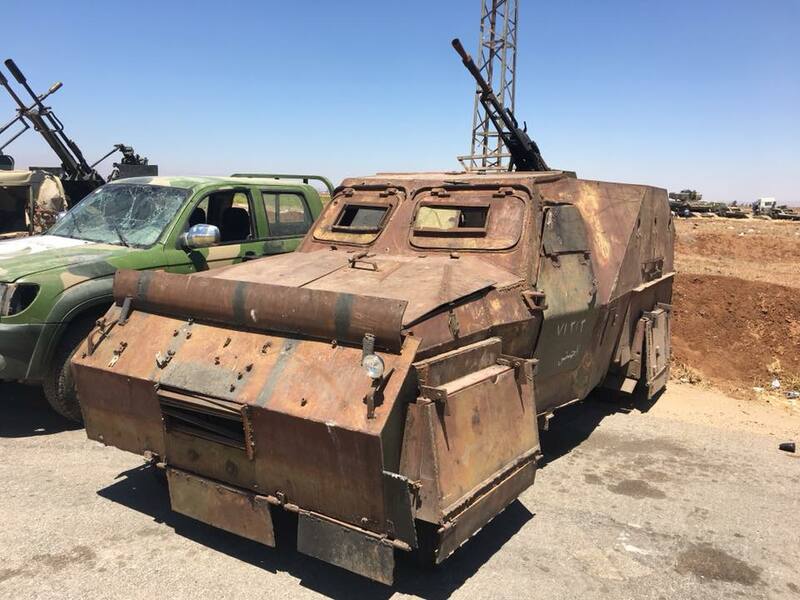 JKBW had salvaged whatever they could use from a BTR-152 (a fairly useless vehicle for non-state actors like themselves) after having captured it from Syrian loyalist vehicle stocks – before applying it to their SVBIED. 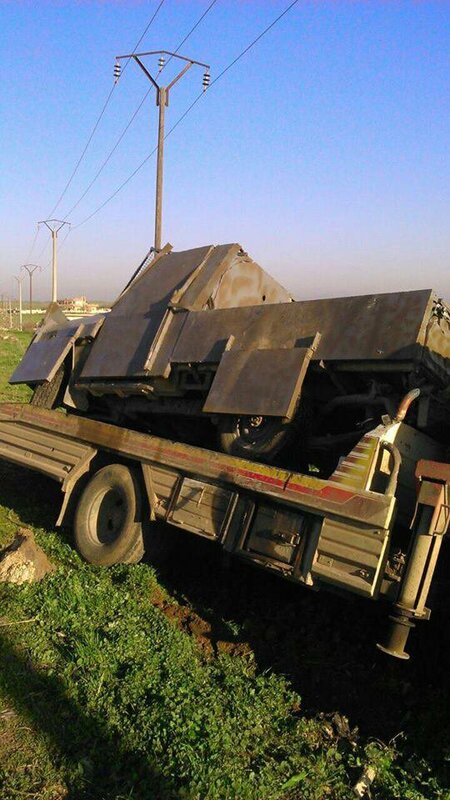 Evidently, this would prove to not be the only such recorded SVBIED. 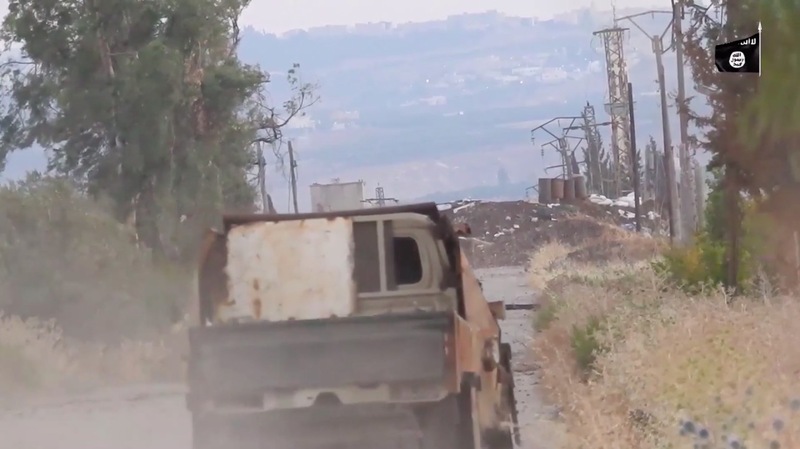 On June 5th, 2018, another up-armored pick-up truck SVBIED was used by JKBW against a rebel position near Hayt. This example was identical to the one employed by the group 6 weeks prior, also consisting of a BTR-152 hull and a Landcruiser chassis. 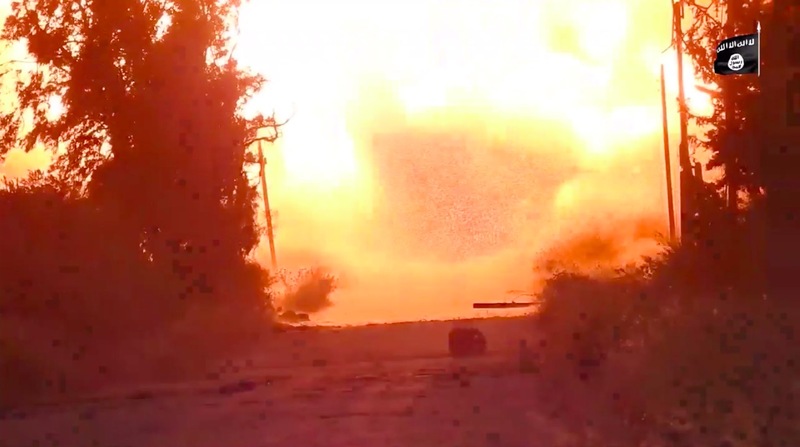 On July 13th, 2018, JKBW employed an up-armored SVBIED based on a heavy truck against a rebel position near Hayt. 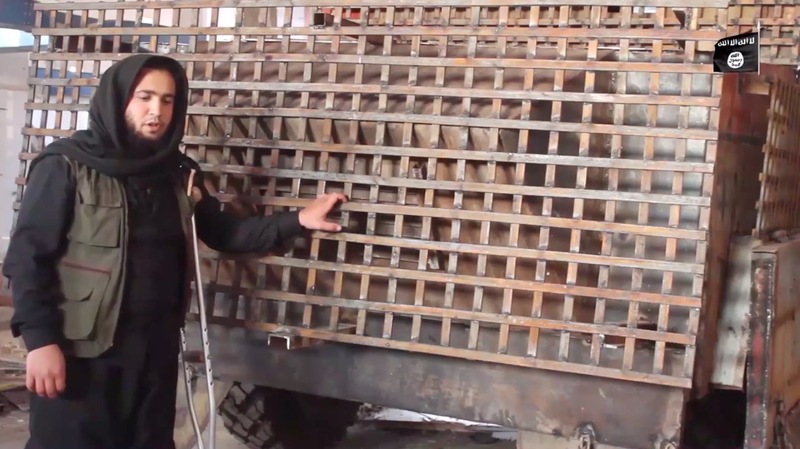 Apart from slanted engine vent armour, this SVBIED also featured full frontal and side improvised slat armor – another indication of technical prowess in relation to the SVBIED manufacturing process. The driver of the SVBIED also appeared to be handicapped, going by the crutch holding him up. The use of handicapped fighters for SVBIED missions has been an especially reoccurring feature with IS, but has also been used by groups like Jabhat al-Nusra. With IS, handicapped fighters were often given priority (to conduct SVBIED attacks) over able-bodied fighters, who could be diverted to infantry positions instead. 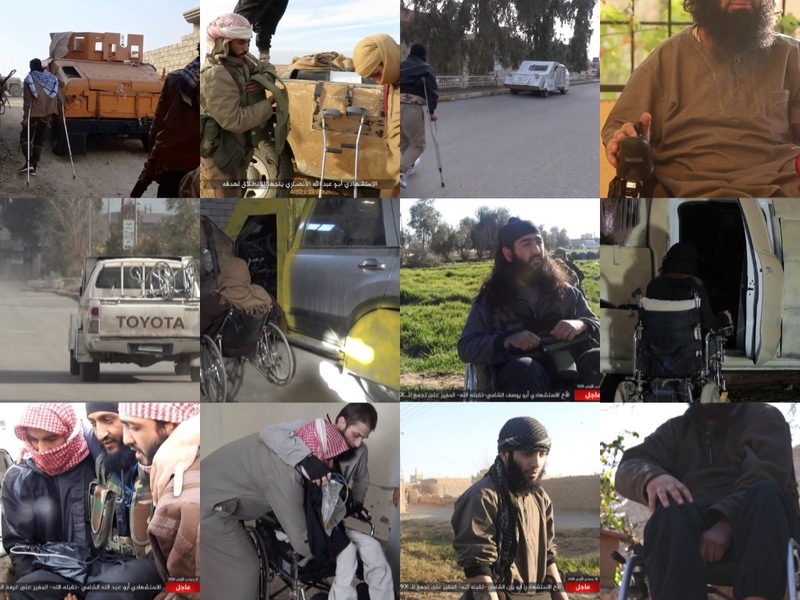 A variety of handicapped SVBIED drivers used by IS throughout the years. 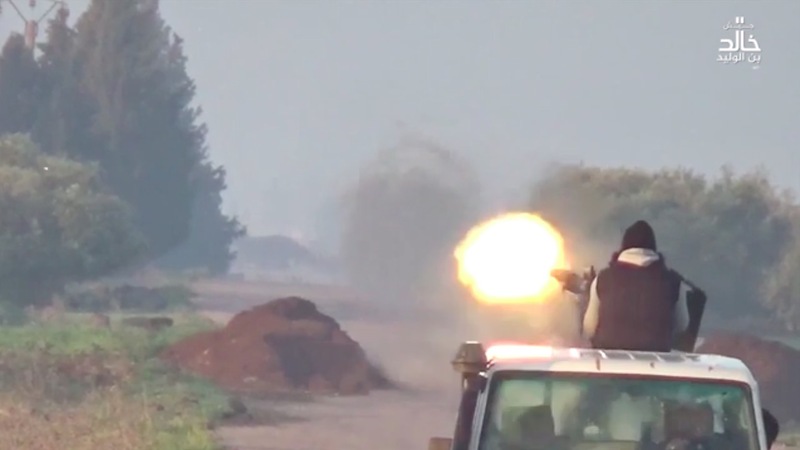 Two days later, in an official video released on July 15th, 2018, JKBW again featured the use of a BTR-152 Franken-SVBIED in an attack on rebel positions near Hayt, the third and final time this SVBIED design was used. 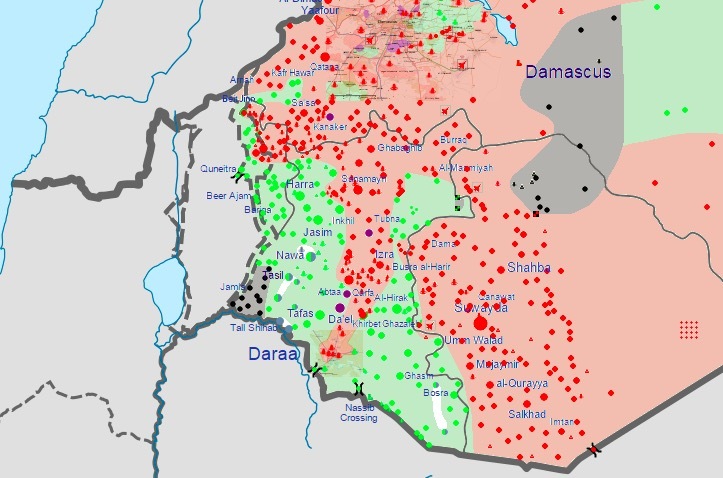 As Syrian loyalist forces encroached on the combined Syrian rebel and JKBW pocket in southwest Daraa in July, 2018, it didn’t take long until some rebel groups signed surrender deals, hastening the collapse of the entire rebel pocket. 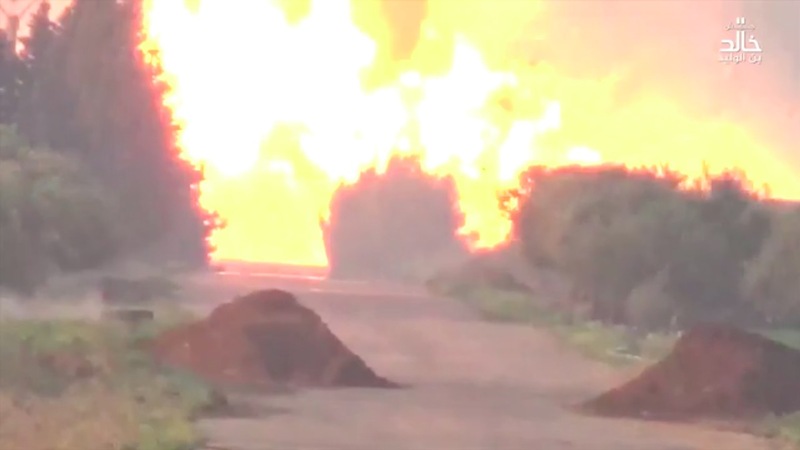 With all firepower subsequently focused on JKBW they were swiftly annihilated, ending their territorial presence on July 31st, 2018 despite employing a number of SVBIEDs against the advancing loyalist forces. 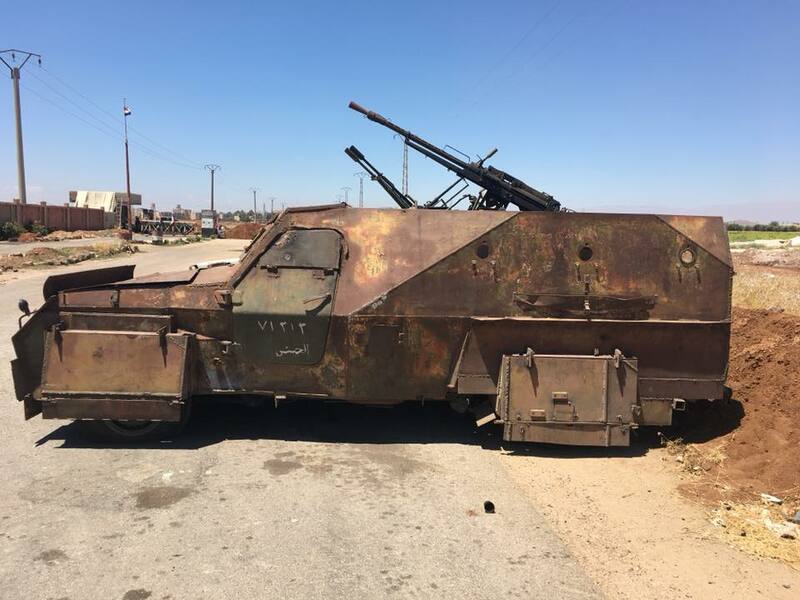 When Syrian loyalist forces combed through the areas previously controlled by JKBW, they found at least two improvised technicals/troop transport vehicles that were based on BTR-152 hulls fitted to Landcruiser chassis’. The BTR-152 hulls on these vehicles were more extensive than those diverted for use as armor on their SVBIEDs. 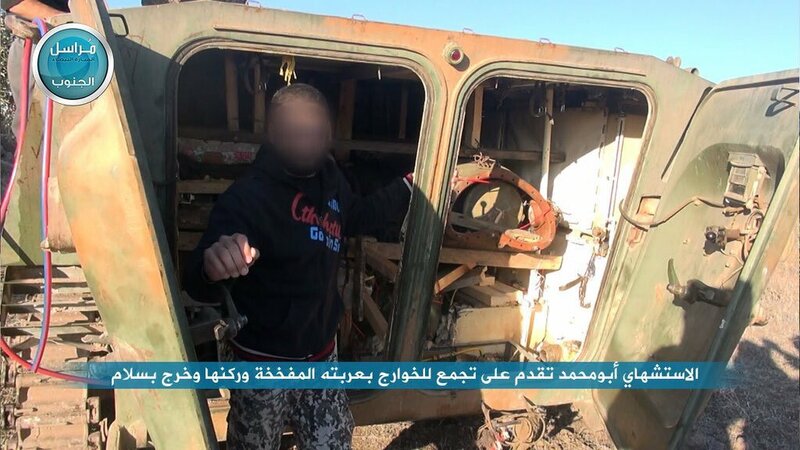 JKBW up-armored technical/troop transport vehicle based on a BTR-152 hull captured by Syrian loyalist forces. The BTR-152 technicals/troop transport vehicles were flown to Russia, and later showcased during a Russian Army exhibit in the Moscow region in August, 2018. In conclusion, JKBW managed to develop a very qualitative SVBIED program despite its small size and being geographically removed from the main IS territory in Syria. 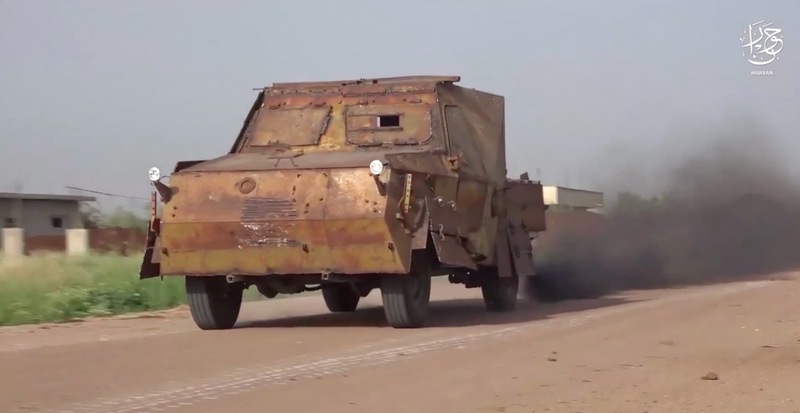 They also effectively made use of otherwise useless captured armoured vehicles in an ingenious way, resulting in both standardised pick-up truck SVBIEDs and technicals/troop transport vehicles. Based on all available footage of the SVBIEDs employed by JKBW, it’s very likely that they were the recipients of technological SVBIED expertise emanating from the main IS territories, whether online or via an emissary travelling to them.